What is the effect of Tamoxifen (and endocrine therapy) on cognitive function? This question, asked by one of our members, formed the basis for our weekly discussion. Although we’ve previously looked at ‘Chemo-brain’, this was our first discussion about the varied effects of endocrine therapy, in particular Tamoxifen, on our cognitive function. 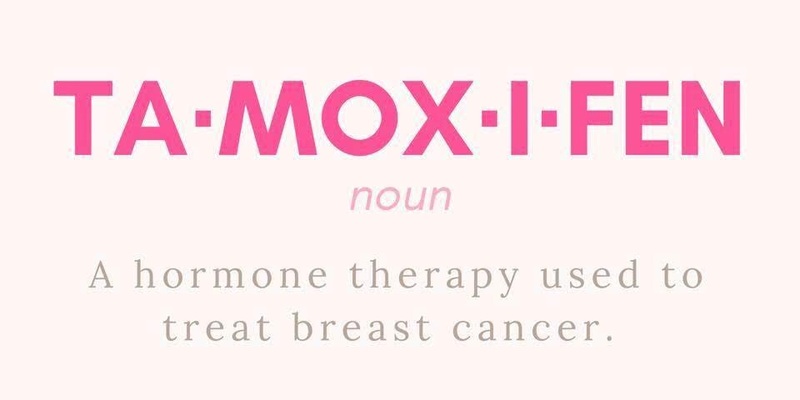 Tamoxifen is described as ‘well tolerated’, particularly in comparison to harsher treatments like chemotherapy and radiotherapy. While there is no doubt about its efficacy as a treatment for hormonal breast cancer, our members, women with primary and secondary breast cancer reported a wide range of debilitating physical side effects including joint pain, disturbed sleep, fatigue, hot flushes and sexual dysfunction. Some of us also reported that these effects increased or decreased depending on the brand of Tamoxifen we take. In terms of the effects on our cognitive function, we shared the following symptoms: a foggy brain, forgetfulness, poor concentration, lapses in attention; many of us experience slow processing speed and difficulties in relation to retaining information, particularly our short-term memory, our 'working memory' by which we mean holding one task or piece of information in our mind while completing another task, and, with our 'executive function' which is 'the CEO of the brain' because it involves those skills which allow us to set goals, plan and get things done. Sometimes our mistakes are small and we laugh at ourselves, but more often our confidence gets undermined and we worry about our ability to function, that we might be seen as incompetent at work or that we are poor company. How we asked, does Tamoxifen work, and how does it impact on the brain? Naz explained that Tamoxifen inhibits the absorption of estrogen to cells that would otherwise be nourished by this hormone, especially brain cells which need estrogen for healthy cognitive functioning. She told us that there is evidence that frontal and temporal structures of the brain are affected most. These areas are involved in everyday memory, our executive functions that enable us to ignore distractions to focus, switch between tasks and update information in working memory. Tamoxifen, Naz explained, has also been known to interrupt “neurogenesis” which refers to the process by which the brain forms new neural connections and re-generates itself. Naz told us that overall, research conveyed the simple message that Tamoxifen can contribute to impaired cognitive function. While the evidence can be mixed at times, the general story conveys a similar message in both post and pre-menopausal women. 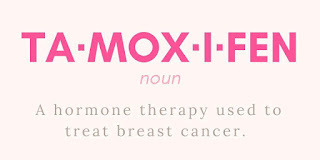 Aromatase Inhibitors have been compared in their effects on the brain to Tamoxifen and the effects are similar, though the general idea is that they have less of an impact than Tamoxifen. Naz told us that the longitudinal effects of Tamoxifen are unknown. Although some women report their cognitive function improves over time, this needs to be accompanied by systematic changes in the brain that at the moment have not been substantiated. Changes in cognitive functioning should be explained by changes in the brain that support those observations. We know that the brain shows under-activity in areas that support healthy cognitive functioning when active treatment ends, but then at times it has shown over-activity to recruit resources that are needed to support daily functioning. Ultimately, more research is needed to see what we can do to keep the effects of Tamoxifen and/or Aromatose Inhibitors on cognitive function to a minimum. We may not be able to reverse their effects, but we can boost our brain’s capacity to protect itself against the extra possible effects of Tamoxifen.